Home »Tips&Guides » Should I Buy Kindle Paperwhite 3? Should I Buy Kindle Paperwhite 3? Yesterday Amazon quietly introduced Kindle Paperwhite 3, and those technology blogs have published many super detailed post about the new generation of Kindle. 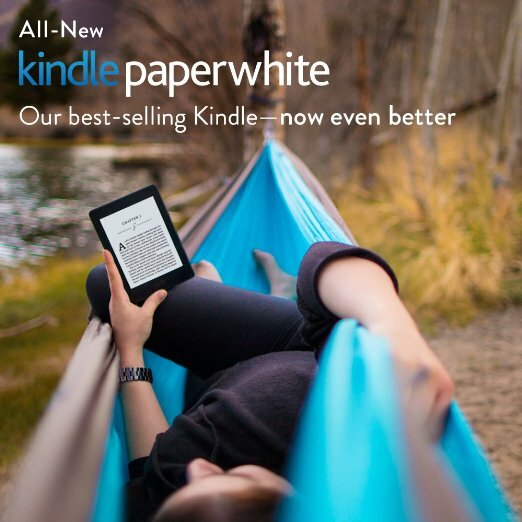 But in this post, I will cover what consumers will concern, that is, should I buy Kindle Paperwhite 3? 1. Why Kindle Paperwhite 3 but not Kindle Voyage 2? Obviously this is a strike back for Kobo. We know that when Kobo released Kobo Glo HD, it was a good choice for those people who thought Kindle Voyage is too expensive and Kindle Paperwhite 2 is out of date. But now, we have Kindle Paperwhite 3. It is a bit cheaper than Kobo Glo HD and perform better, with Amazon’s #1 position in eBook industry, I can’t see why we should choose Kobo but not Amazon. Why Kindle Voyage 2? As I said, Amazon wants to block Kobo Glo HD, it and Kindle Paperwhite has the same target customers. But Kindle Voyage aims at the people who is willing to pay more on an eBook Reader, for Kobo it’s Kobo Aura. 2. If I have Kindle Paperwhite 1/2, should I upgrade to Kindle Paperwhite 3? Compared to old Kindle Paperwhite, the new model has better screen display and RAM, but they are not the key factors for an eBook reading device. Another improvements is the new font type, coming with the new version of firmware, but I believe it will also come to all the generations after Kindle Paperwhite 1. However, if you are not satisfied with your Kindle Paperwhite 1’s screen display and reaction speed, you can try the 3rd generation. For Kindle Paperwhite 2, I can’t see the reason to upgrade. 3. I don’t have a Kindle yet, should I buy Kindle Voyage or Kindle Paperwhite 3? In fact I’m not a fan of Kindle Voyage. When I saw Kindle Voyage’s news, I was excited about the page turning buttons are coming back as I love my Kindle Keyboard’s page turning buttons, far more comfortable than touch the screen. But when I received Kindle Voyage, I can only say that it can’t compare with the old days page turning buttons. So if you are not interested in the page turning buttons on Kindle Voyage, I am pretty sure Kindle Paperwhite 3 can meet all your needs in reading eBooks. After all, Kindle Paperwhite 3 is almost half price of Kindle Voyage.